Halloween is another holiday that is continually growing in nationwide and worldwide popularity. Although the standard practice of "trick or treating" in one's hometown is exciting enough, there are many extravagant and outlandish places to visit during the Halloween season. This parade is a cultural phenomenon that shuts down the streets of Manhattan every year. Anyone is welcome to join, and people come and gather wearing outlandish and elaborate costumes. A huge tradition in this parade are the giant puppets that people hand make and parade around during the festival. Come to the Village Halloween Parade in NYC for the change to participate and marvel at these figures! 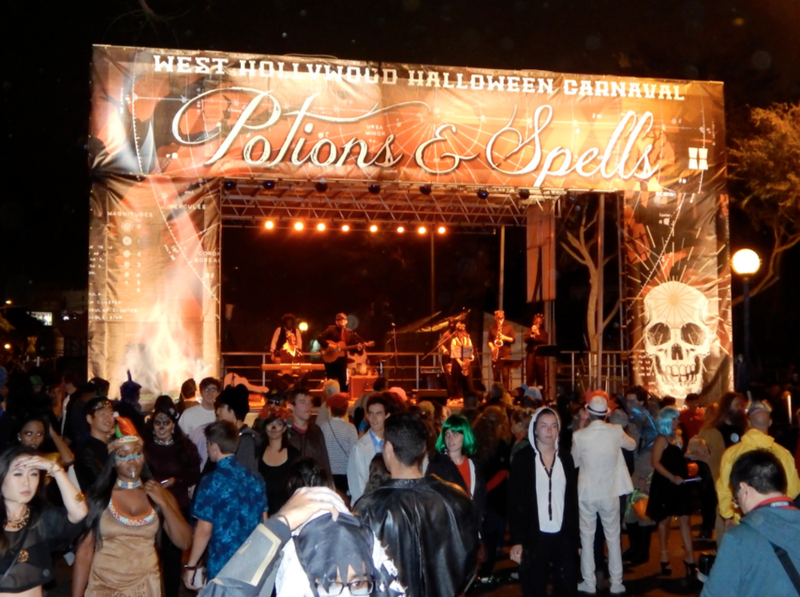 You can find the world largest halloween street party on the Santa Monica Boulevard at the West Hollywood Carnaval. People come from all over the world to compete in costume competitions. The evening culminates in an award called the "Queen of Carnaval" where a celebrity is presented with this award. Past celebrities include Queen Latifah and Rihanna. There are tons of food trucks, live music, and wild clubs to keep anyone having the time of their life. Festival of the Dead in Salem Massachusetts. Salem Massachusetts, the home of the historic and famous Salem Witch Trials, is the perfect place to tour for Halloween. 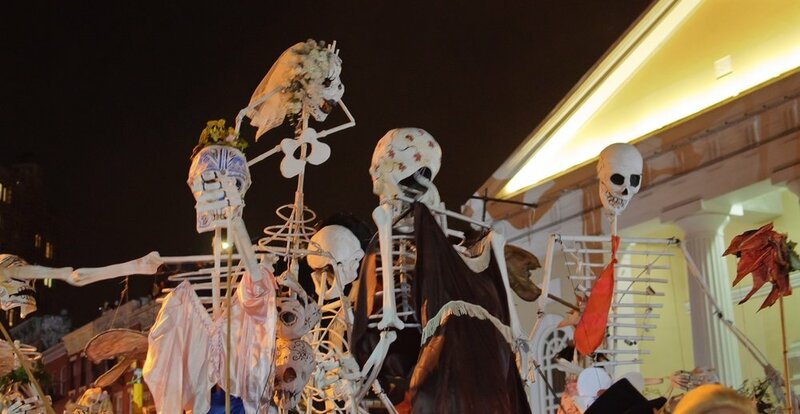 Each year this town utilizes its rich history to host a festival of the dead. Salem attracts around 500,000 visitors each fall, as they flock from all over the country to participate in this extravaganza. The festival includes many "witchlike" aspects such as crystal balls and psychics, and culminates in an old hotel where people gather to "summon the spirits of Halloween." Unsurprisingly, this city is a great place to flock to during October. Known as one of the most haunted cities in America, there are hundreds of elaborate haunted houses for the brave. The main party is centralized in the Faubourg Marigny neighborhood, which is in walking distance of the historic French Quarter. Venturing here for Halloween will not leave you disappointed. Las Vegas goes all out for everything, so it is no surprise that Halloween in Las Vegas is as wild as it gets. The huge clubs and restaurants go all out for a jam time of festivities and celebrations. 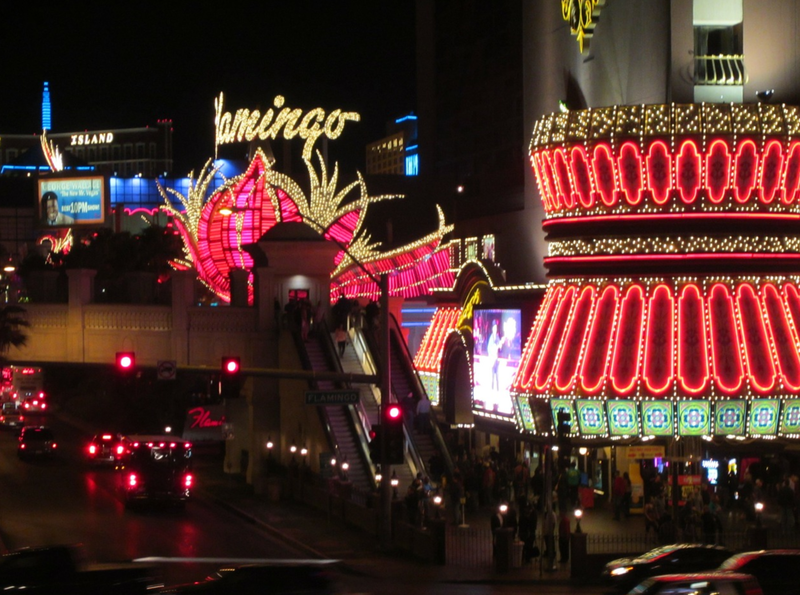 Las Vegas has some of the most elaborate costumes of all time, and by simply taking a stroll on the street you will experience this firsthand. For a more thrilling experience, head to the theme park Circus Circus. During the halloween season they transform this theme park into a fright dome with several thrilling haunted houses and an insane asylum. History.com Staff. "Salem Witch Trials." History.com. A&E Television Networks, 2011. Web. 01 June 2017. Laks, Zachary. "10 Best Halloween Celebrations in the U.S." Fodor's Travel. N.p., 18 Oct. 2016. Web. 01 June 2017. "Brief History of the French Quarter." Brief History of the New Orleans French Quarter. N.p., n.d. Web. 01 June 2017. "Adventuredome." Circus Circus Las Vegas. N.p., n.d. Web. 01 June 2017. Dooley, Kevin. "Mary Ellen Page's Halloween Town 2009." Flickr. Yahoo!, 25 Oct. 2009. Web. 01 June 2017. Edmunds, Scott. "West Hollywood Halloween Carnival." Flickr. Yahoo!, 01 Dec. 2014. Web. 01 June 2017. Wright, Andrea. "New Orleans Halloween." Flickr. Yahoo!, 03 Nov. 2009. Web. 01 June 2017. Linsdell, Robert. "The Burying Point, Salem (493770)." Flickr. Yahoo!, 14 Dec. 2013. Web. 01 June 2017. InSapphoWeTrust. "Greenwich Village Halloween Party." Wikimedia Commons. N.p., 31 Oct. 2011. Web. 1 June 2017.